Sisters Deirdre Lancaster and Denise McGowan love nothing more than hunting through op-shops in search of the perfect fabric or blanket. 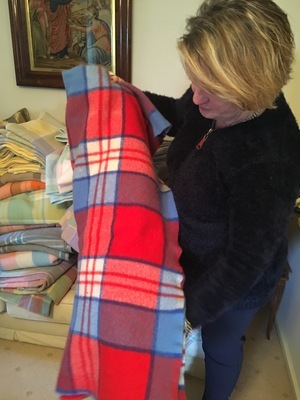 “Out of a double bed blanket you would probably get about five coats,” says Denise. 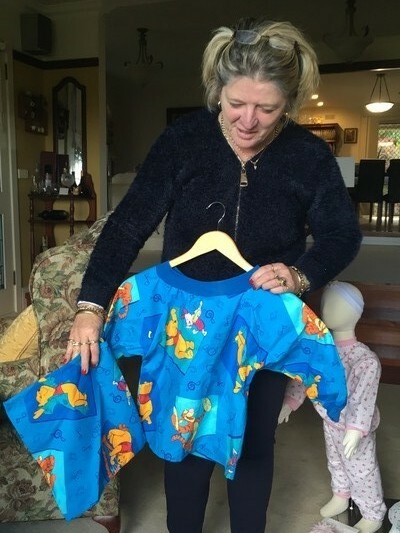 The duo, who have been sewing for as long as they can remember, have now turned their love of hand making clothes, rugs, jackets and other articles for young children and their mothers into a home business. The business, Made by Nanna (with love) started six years ago when Deirdre’s son and daughter-in-law were expecting their first baby. 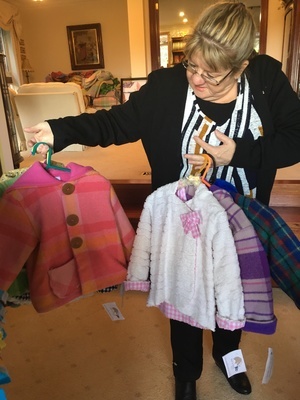 “They asked for some bunny rugs so I made some rugs and she asked for some more bunny rugs to give to her friends and it just went from there,” says Deirdre, who works from her own in Belgrave Heights. As Denise explains, she began making coats after a friend told her she had seen a coat online with a price tag she simply couldn’t afford. “I said ‘Don’t be ridiculous, get me a blanket and I’ll make you a coat.’ So that’s how we originally started getting blankets. “As you can see I have a wardrobe full plus everybody gives me blankets,” Denise laughs. 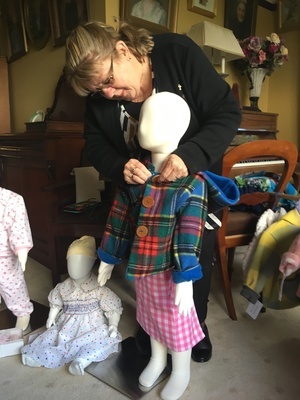 “So we’ve progressed into what people have asked us for basically; we sell quite a few of the hobby horses, I think the kids get attracted to them because of the colours,” Denise says. 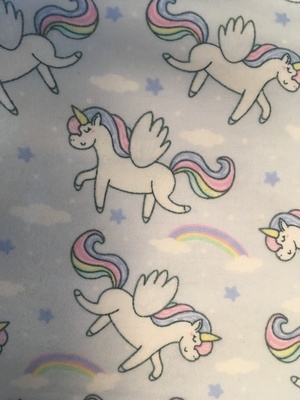 They also hand make bandana bibs, swings, teething rings, eco-friendly wipes, toy bags and nursery decorations. “This is our design and they are our biggest seller,” says Denise, reaching for a pink snuggle wrap from her lounge room table at her Beaconsfield home. 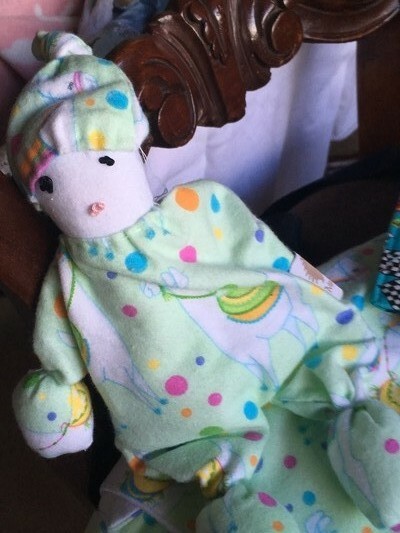 “Everybody likes them,” she says of the snuggle wrap which is made from a recycled woollen blanket, “Because tummy time is when the babies have their nappies off and they roll around so if they wee it just absorbs it, plus you can just throw it in the washing machine. But they’re also very good for the pushers because they keep them warm. “We do coats and they’re made out of vintage blankets with polar fleece,” Denise says. Denise concedes their first experience at Farm World was disappointing. “They didn’t promote it; it was a new area. 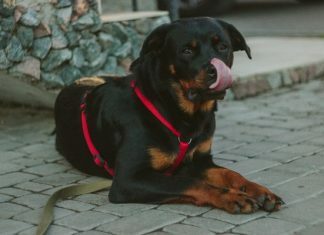 We weren’t getting the foot traffic and then of course it rained which we can’t control,” she says. “We were told we would easily take $7,000 or $8,000 down there and we took $2000 so that hurt. We were also told there would be 50,000 people, we were lucky if we saw 500. Everyone loves wooden button for coats, says Denise, which are all hand made by her 78-year-old neighbour. “I said to him the most expensive parts of these coats are the damn buttons. He goes ‘I reckon I can make you buttons.’ He’s actually just chopped up a curtain rod, just sliced the curtain rod up and drilled holes in it,” she says. “I actually make adult coats but they’re to order and I make a huge amount for men which is really bizarre. I actually made one for my neighbour and it was this really horrible orange and yellow blanket and I was just doing it as a trial. Anyway, he kept wearing and wearing it, says Denise. “Not everything is recycled. It’s all handmade though the things that are recycled are really the coats,” says Denise. Denise, 60, and Deirdre, 65, grew up in East Bentleigh where their mother still resides. They first started sewing as kids on a treadle sewing machine that is powered mechanically by a foot pedal. 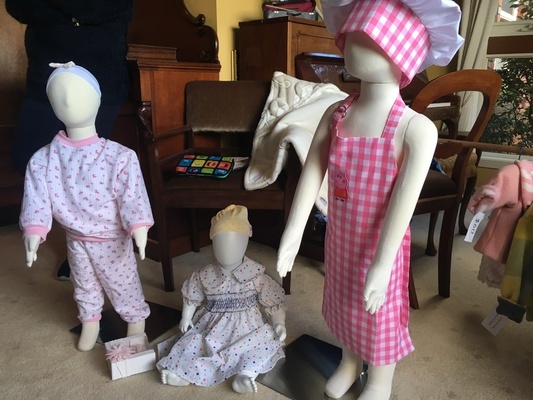 “Mum had a treadle machine that had been converted to electricity but we weren’t allowed to use the electricity until we could work it with the treadle,” says Denise. “We learnt to sow using the peddles and once we got proficient at that then we were allowed to plug it in – of course it was faster with electricity than it was with the peddles. 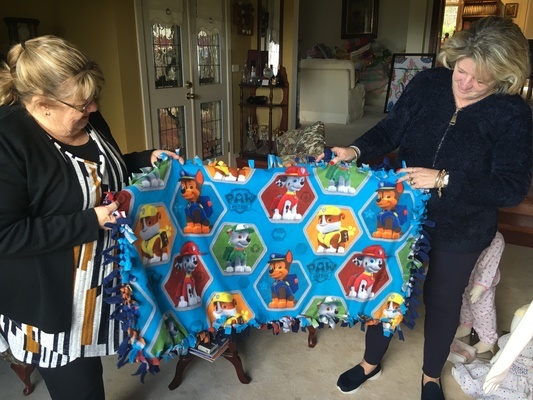 “I used to make bedspreads, curtains and all my kids clothes,” Denise adds. Denise recalls taking out a loan for $500 to buy her first sewing machine at the age of 18 and had just started working at the National Bank. “The banks would laugh at you now if you asked for a $500 personal loan,” she says. Both are keen to check out the op shops in Mildura during their visits at the start of every year. 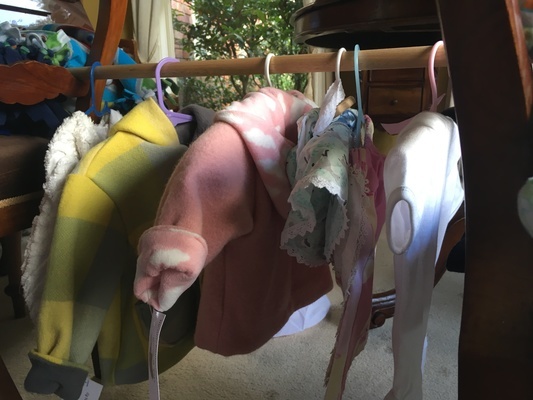 There was one “very funny story” Denise says when she bought about 15 blankets and decided to wash them all and hang them out to dry at her accommodation site in Mildura. There was another time when Deirdre snapped up a great bargain at an op shop. Denise was looking for a particular pattern for a coat and told Deirdre to keep an eye out for it. “Deirdre goes in an op shop and there it was for 50 cents,” says Denise. The pair regularly hold stalls at the Longwarry and district fire brigade market and Deloraine market in Tasmania. “Made by Nanna (with love) is my opportunity to share my home made produce with others, and convince my husband that there really is a reason that I keep buying all these lovely kiddies prints,“ says Deirdre.